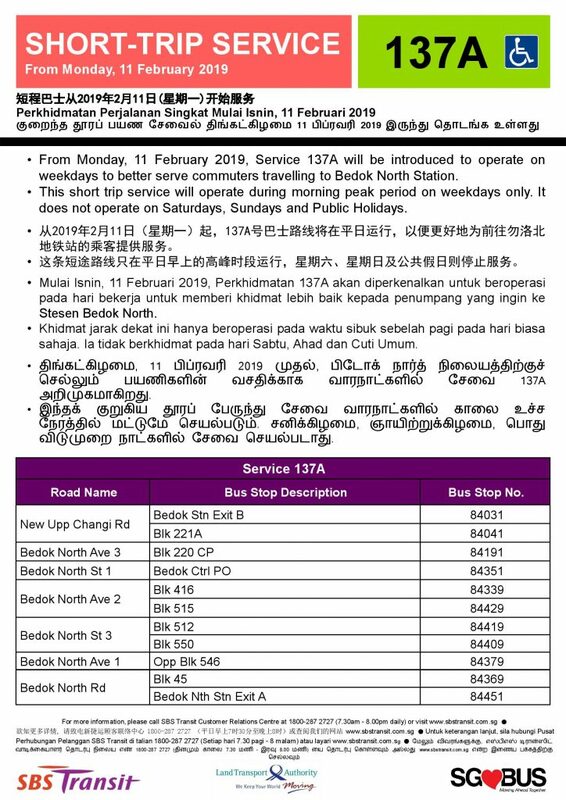 On Monday, 11 February 2019, New SBS Transit Short Trip Bus Service 137A will be introduced. 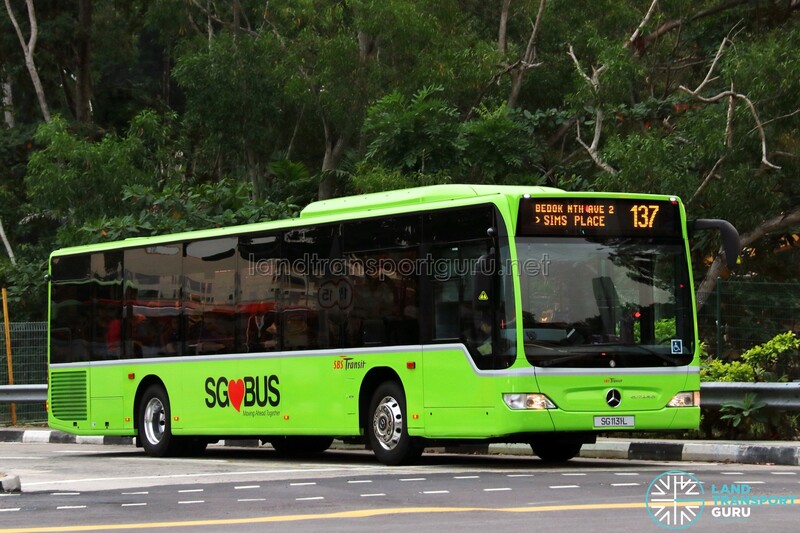 Service 137A operates from New Upper Changi Road (Bedok Stn Exit B) and ends at Bedok North Road (Bedok Nth Stn Exit A) on Weekday Morning Peak hours, except Public Holidays. Departure timings are at: 0718hrs, 0733hrs, 0752hrs & 0807hrs. In addition, two special departures of Service 137 from New Upper Changi Road (Bedok Stn Exit B) towards Sims Place Terminal at 0829hrs & 0844hrs.